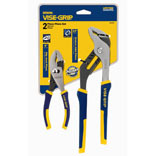 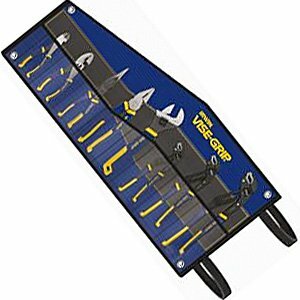 The IRWIN Tools 1802537 includes the GV6, LN8E, DIA8A, LP9FC, 10CR, 9LN, & GV10R. 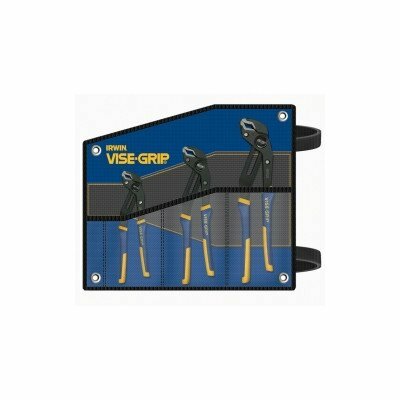 The GrooveLock pliers feature a press and slide button that adjusts jaws 2X faster than traditional groove joint pliers. 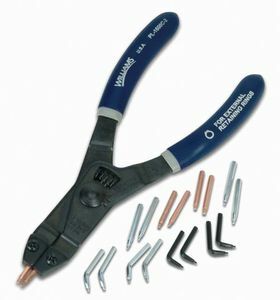 The Lineman's Pliers feature an induction-hardened cutting edge that stays sharp longer and machined jaws for maximum gripping strength. 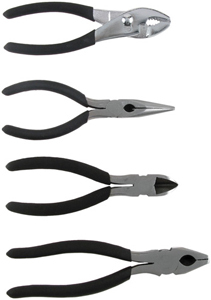 The diagonal cutters have a sharp, heat treated cutting edge for long life and durability and the needle nose pliers are made of tool grade steel and feature hardened cutting edges. 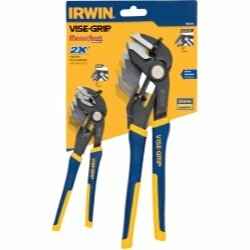 The 10-Inch Fast Release Curved Jaw Locking plier features IRWIN's patented self energizing lower jaw and both locking pliers feature IRWIN's fast release opening mechanism that eliminates the need for a trigger release and makes opening the pliers significantly easier and faster. 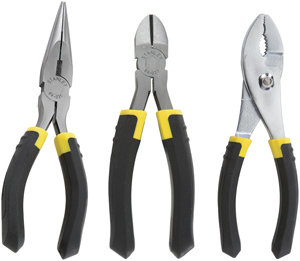 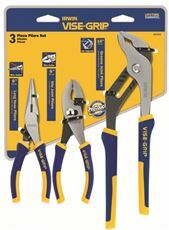 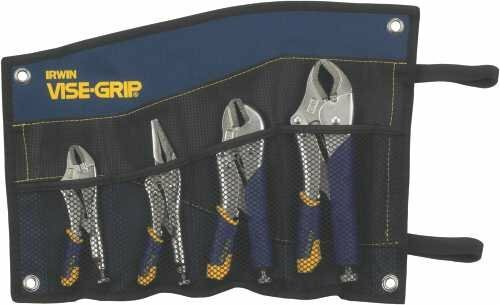 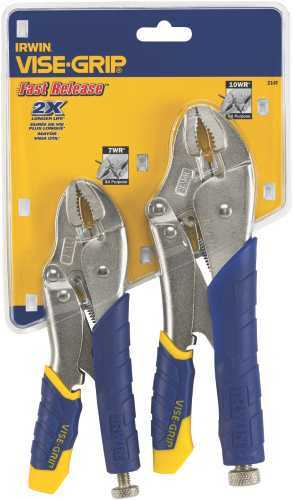 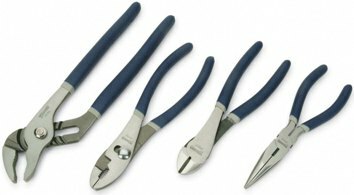 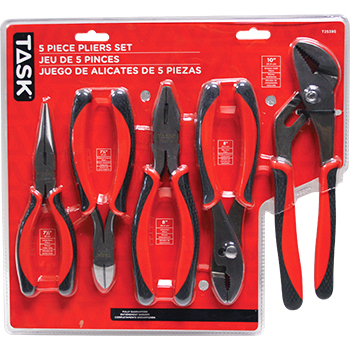 All of these pliers come with IRWIN's ProTouch� grips and a lifetime guarantee. 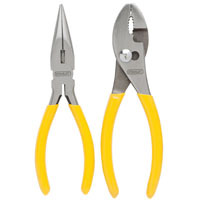 Retaining Ring Plier. 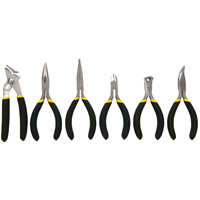 Snap Ring Pliers & Tips Set. 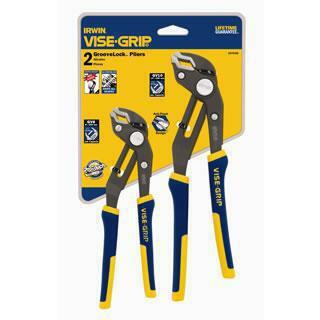 Manufactured by: Williams, a JH Williams Company..
MILWAUKEE� TORQUE LOCK� LOCKING PLIERS SET, DURABLE GRIP, CURVED JAW, 7 IN. 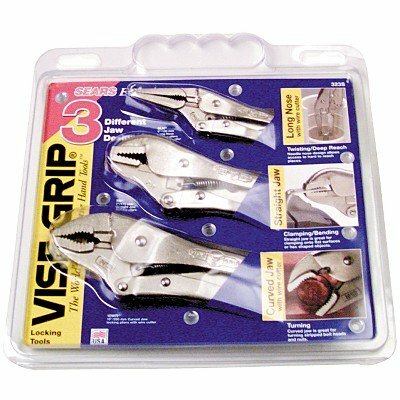 AND 10 IN. 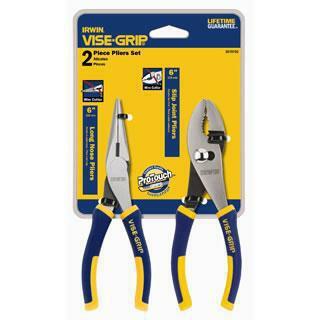 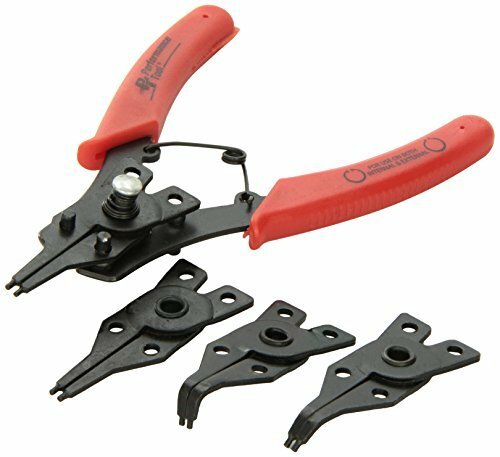 MILWAUKEE� TORQUE LOCK� LOCKING PLIERS SET, DURABLE GRIP, CURVED JAW, 7 IN. 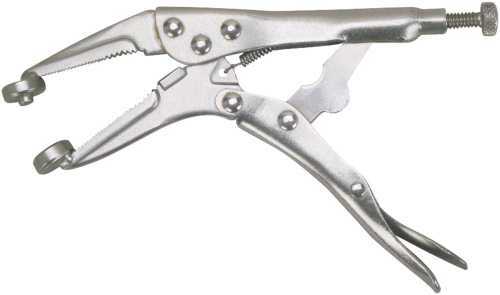 AND 10 IN.